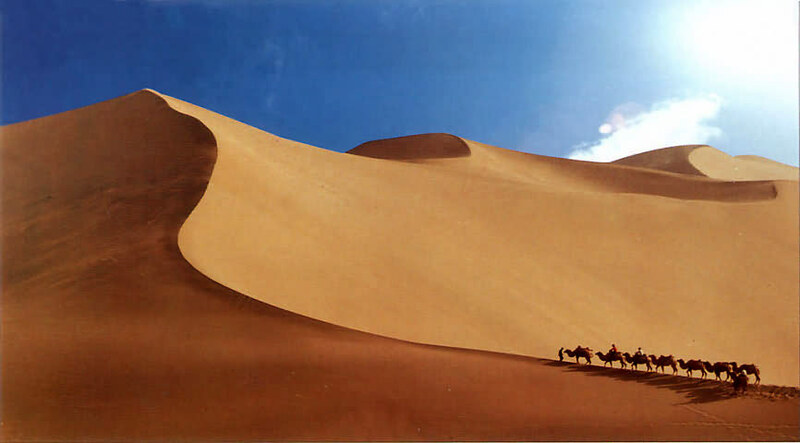 Silk Road, with a wide range of territory, has a variety of renowned dishes, formed by distinctive geographic condition, religious beliefs and ethnic customs. Covering three provinces - Shaanxi, Gansu and Xinjing, Silk Road boasts the diversity of food and snacks in different cities, but still owns its unique flavor. Most main dishes of Silk Road are made of beef and mutton with many condiments, which smell very good. With pasta being the main staple food, each city has its featured food and snacks renowned throughout China, even the world. As one of the most visitors' favorite meals, Dumpling Banquet is a Chinese dumpling feast. These dumplings are made in all kinds of shapes such as duck, chicken, rose flower, walnut, and pumpkin. Each pastry shell is stuffed with a different combination of meats and vegetables and then steamed or fried. The aroma, taste, culture, and exciting environment make it extremely popular and worth your while to join in the fun. 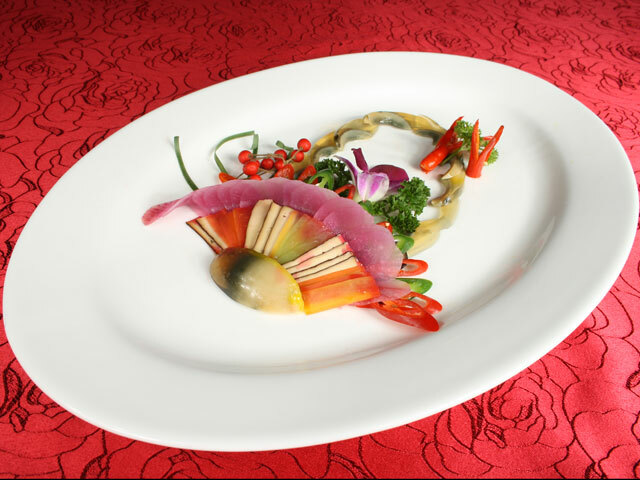 The most celebrated dumpling banquet is served along with the glamourous Tang Dynasty Show in downtown Xi'an. 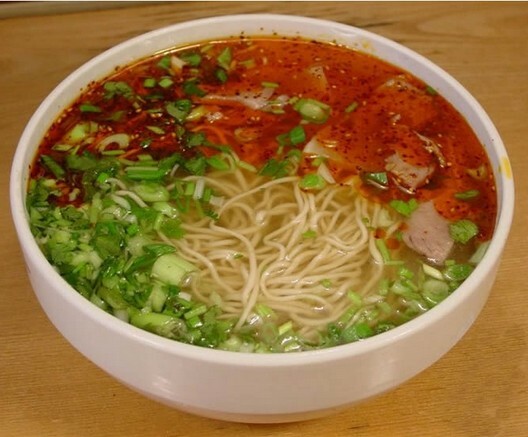 Made of hand-pulled noodles and bouillon, Lanzhou Lamian, whose name means Lanzhou Hand-pulled Noodles in Chinese, is a kind of noodles dish originated from Lanzhou, the capital city of Gansu province. So popular all over the country that its theme restaurant called "Lanzhou Lamian" can be almost seen in every city. 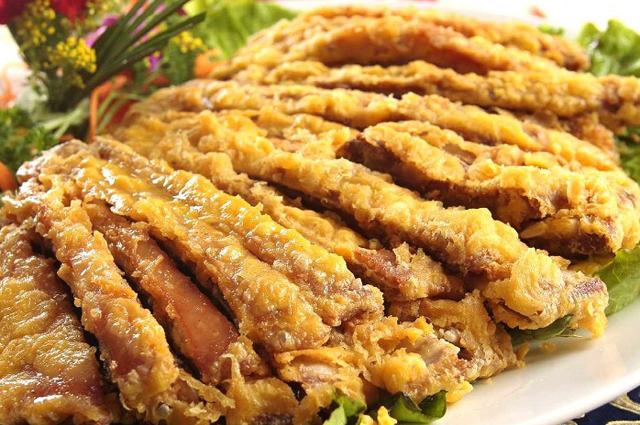 For this popular dish, how to make 鈥淟amian鈥?is the most important part: pull the dough to about an arm span's length repeatedly after aligning the glutens and warming up the dough for stretching until the desired thickness and quantity is achieved. 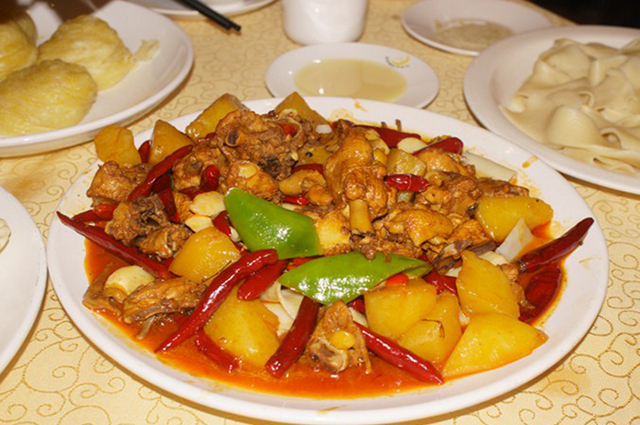 Dapanji, which literally means "a big plate of chicken", is one of the most famous dishes in Xinjiang province, featuring Xinjiang-style flavors: cumin, chile powder, Sichuan pepper, fresh hot peppers, and savory goodness. It combines cooking skills of different ethnic groups - Han, Uygu and Kazak, which is a mash-up of culinary traditions, so it is very good in color, flavor and taste. 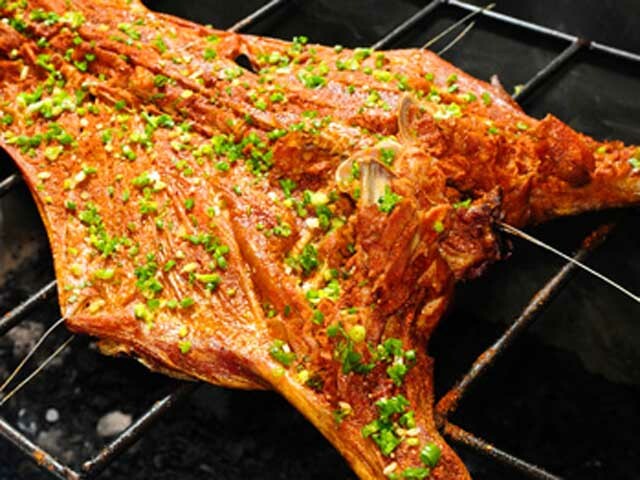 Considered one of the representative dishes of Xinjiang, Roast Whole Lamb is regarded as another 鈥淏eijing Roast Duck鈥? which is a traditional dish in Xinjiang, very popular among the ethnic groups, especially Uyghurs. It is used to serve guests and friends by local people, as well as celebrate festival, birthday, ceremony, etc. Tourists can have a taste of Roast Whole Lamb in some local hotels or restaurants. Hand-grasped Mutton is a traditional featured dish with almost one-thousand-year history, which is frequently seen among many ethnic groups settled in Silk Road. People used to enjoy the mutton by hands, which is the source of its name, but now commonly accept another more convenient eating ways 鈥?hot, cold and pan-fried. You may have a try to savor the different flavors by means of different ways. Pao Mo, a hot stew of chopped-up steamed leavened bread, is a specialty of Shaanxi cuisine. 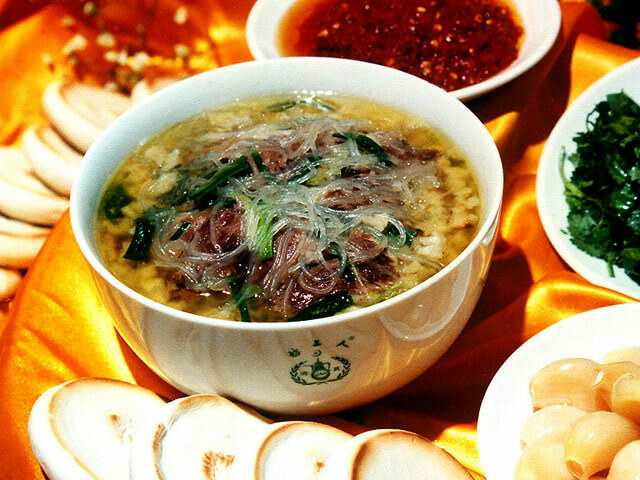 As is a typical food eaten in the city of Xi'an, it is cooked in lamb broth and served with lamb meat, or the lamb substituted with beef. Lamb Pao Mo is made of lamb soup and a great amount of flat bread with pita bread soaked in the soup. When making this dish, the cook breaks the bread into small pieces and adds them to the lamb soup. It is often eaten with pickled garlic and chili sauce. 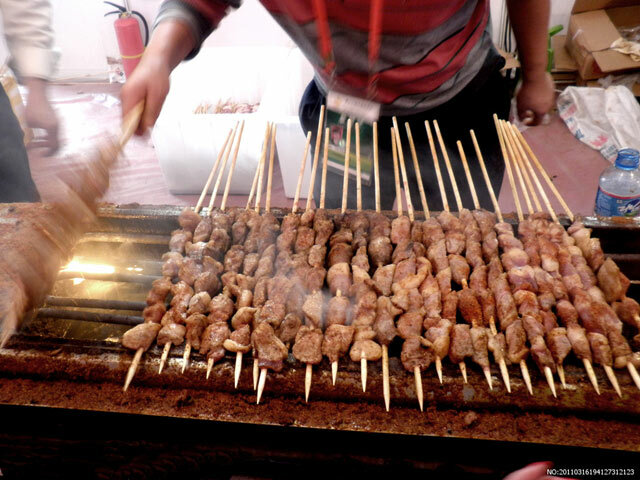 Kebab is the most famous snacks of Turpan, widely favored by tourists. 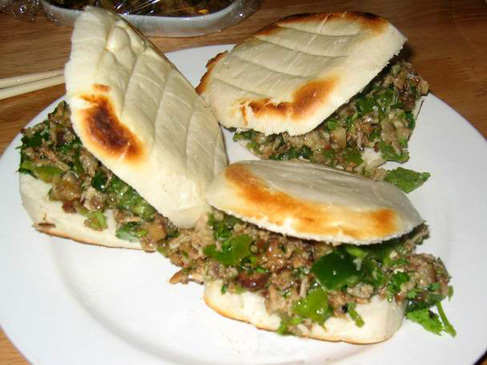 Originating from the Uyghurs in the Western province of Xinjiang, it is a variation of kebab spreading throughout the country. The most traditional form of Kebab is made of lamb or mutton, which is cut into small pieces and then skewered and either roasted or deep-fried, plus common spices and condiments such as cumin called "ziran", pepper, sesame and sesame oil. 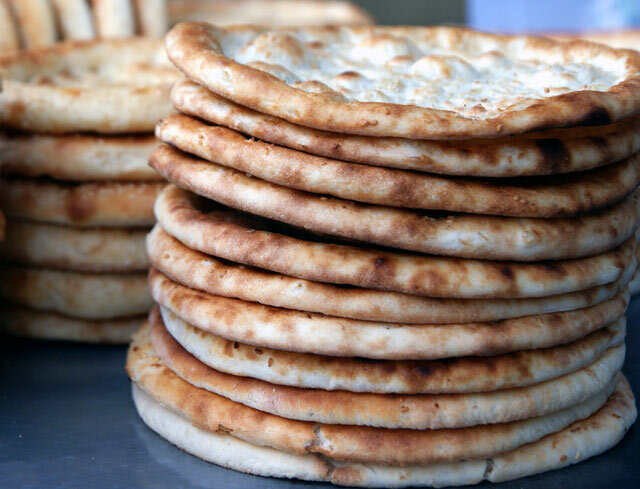 Naan bread is not only a kind of snack, but also one of the staple cuisines in Xinjiang, with a legendary story and a long history (almost two thousand years), which tastes very well and can be kept for a long time. It is said that Xuanzang, the eminent Tang dynasty monk, kept bringing this kind of bread during the long journey to the west. There are more than 50 kinds of Naan bread made in different ways spreading over Silk Road, mainly made of flour, egg, sesame, onion, ghee, etc. 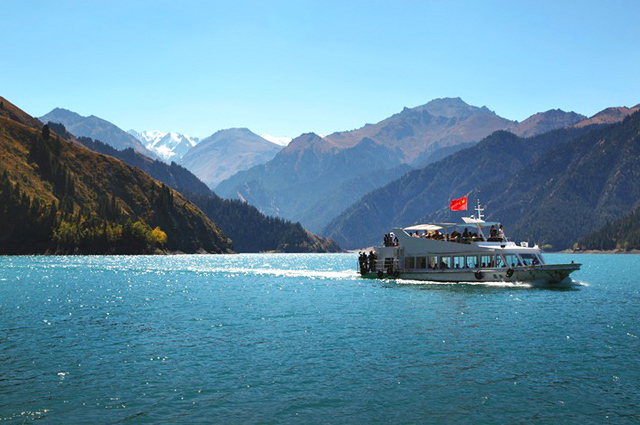 Silk Road is abundant with fruits, such as apples and pomegranates of Shaanxi, honeydew melons of Gansu, especially grapes, Hami melons and walnuts of Xinjiang which is regarded as Paradise of Fruits with various kinds of excellent produce. 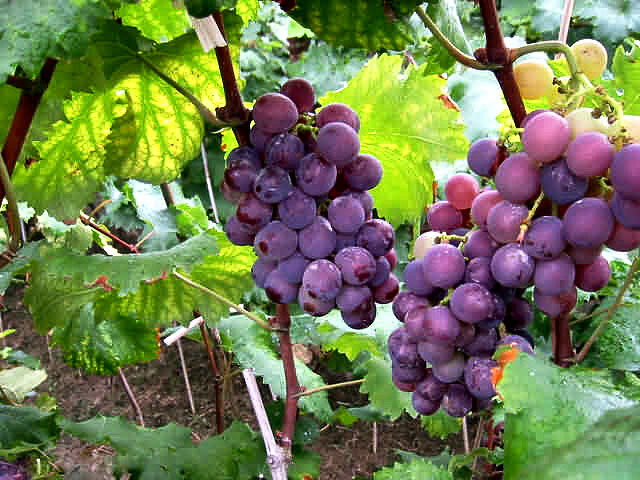 In addition, there are some featured drinks which are popular in the Silk Road area, like Huanggui Rice Wine of Shaanxi, Yogurt of Xinjiang. 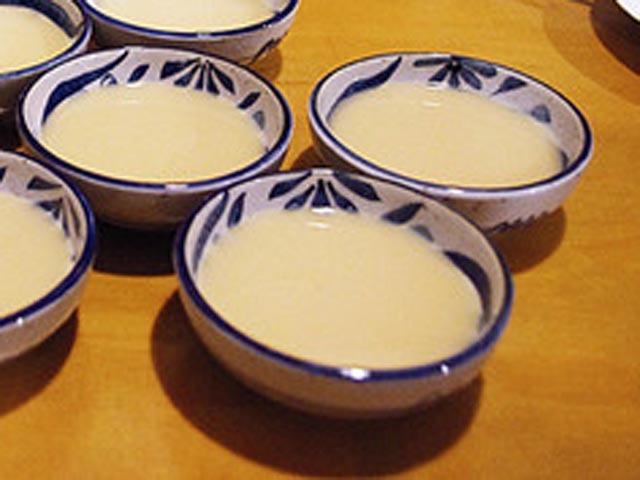 Huanggui Rice Wine, called as Huanggui Choujiu in Chinese language, is a type of fermented alcoholic beverage brewed from glutinous rice in Shaanxi Province, featuring the milky white color. 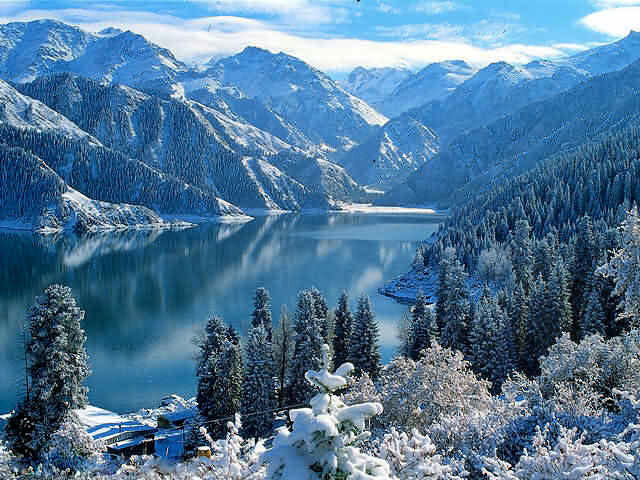 The Yogurt in Xinjiang is worthy of a try, with distinctive make-up method and flavor. It is a common kind of beverage with a lot of nutrition, containing lactic acid, lactose, minerals, vitamin, enzymes, etc.